A Wiccan Guide to Magic: What is Magic? And What is Magick? To those who aren’t familiar with Wicca or Witchcraft, the word “magic” might bring various images to mind—talented illusionists who pull rabbits out of hats, sparks shooting from wands in Hollywood movies, or a cartoon character who can disappear simply by snapping his fingers. But for people who actually practice magic, the truth is much more subtle, and yet more powerful, than any pop culture fantasy. Back in the late 1300s, the French word “magique” entered the English language and became “magic.” The common French definition of the word was “the art of influencing events and producing marvels using hidden natural forces.” This is a much closer characterization of magic than any modern-day dictionary will provide, but for the 21st-century Witch, it’s more accurate to say that magic is the art of consciously participating in the co-creative forces of the Universe, by directing the energies of nature to cause desired changes in one’s life. Knowing that reality is fluid and ever-changing, Witches use a variety of methods to connect their personal power with the power that governs the workings of the Universe. Through this connection, their stated intentions are manifested into physical reality. In the Witching world, it’s very common to see the word magic spelled as “magick.” This spelling comes from the work of Aleister Crowley, a leader in the British occult movement of the late 19th and early 20th centuries that gave rise to the spiritual tradition that became known as Wicca. Crowley added the “k” at the end to distinguish his practice from that of the illusionists, or “stage magicians” who were becoming popular during his day. Magic is also commonly referred to by its practitioners as “Witchcraft” or “the Craft,” terms that emphasize the art and skill involved in successfully manifesting change. Like so many aspects of contemporary Wicca and other Pagan spiritual traditions, there isn’t a single correct approach here. The choice of terminology—as well as spelling—when it comes to magic is a personal one. Generally speaking, the aims of magic tend to be focused on improving one’s own circumstances, primarily in the areas of wealth, love, and physical well-being. People may work specific magic for landing a better-paying job, finding a romantic partner, or a speedy recovery from an illness or injury. Another common purpose is protection, such as a spell for safe travels or the banishing of a negative influence or situation in one’s life. Personal gain isn’t the only goal of magic, however—many Witches work for the well-being of others, whether it’s people they know, or people in far-off places. For example, members of a Wiccan circle might perform a ritual to send positive energy and healing to someone’s struggling family member, or to survivors of an earthquake halfway around the globe. Many Wiccans also choose to work for spiritual development in addition to personal gain, using the Sabbats and Esbats as opportunities to reflect on their lives and plant intentions for growth or balance in the coming weeks and months. Magical practice today can include an enormous variety of influences, traditions, and approaches. Spells, charms, rituals, incantations, dancing, potion-making, visualization and divination are all activities that fall within the realm of magic. Some magical workings may come from time-honored traditions, while others are invented on the spot in a moment of inspiration. Much of the magic practiced by Wiccans is at least somewhat inspired by ceremonial magic, which comes from older occult sources such as the Freemasons and the Hermetic Order of the Golden Dawn. Sometimes called “high magic,” it is often quite elaborately ritualized and involves the use of symbols and gestures to direct energy toward desired aims. Other influences come from what has been called “low magic,” which includes practices from old folk traditions in Europe and elsewhere, some of which date back at least several centuries, if not longer. Many Wiccans gravitate to magical traditions that make use of natural tools and ingredients, such as herbs, crystals, shells, etc. Knowing that the natural world is still our home, no matter how far removed from it our modern culture seems to be trying to get, these Witches pay close attention to the ongoing processes of nature—creation, destruction, change and adaptation—and work with those energies in their magical practice. For example, a Wiccan magic spell might call for using fire to burn away an unwanted influence, or timing one’s intentions with the moment the Moon becomes full in order to maximize the effects. There truly are endless possibilities when it comes to learning and practicing magic, as long as you are willing to apply yourself seriously to the study of this fascinating art! Not all Wiccans practice magic as part of their spiritual tradition. Those who do, however, always keep the Wiccan version of the Golden Rule (known as the Rede) in mind: “An it harm none, do what ye will.” Magic in the Wiccan faith is never to be used for anything that would cause harm to any person or other living being. Whereas some in the Craft make distinctions between what they identify as white and black magic, Wiccans are careful to be clear on the intention of any given spell. Negative intention is not only harmful to the recipient of such a working, but also to the Witch sending it out, and such magic is bound to backfire. This includes magic aimed at interfering with the free will of another person. 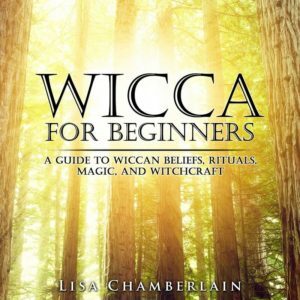 Furthermore, Wiccans also seek to avoid accidental harm, which can certainly happen as one’s intentions are made manifest in the physical realm. 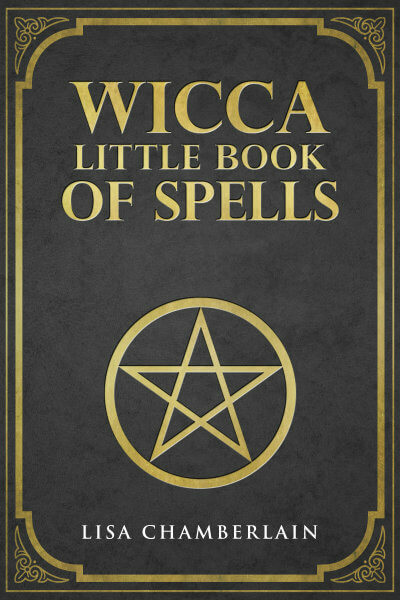 To avoid any unintentional ill-effects of their spellwork, Wiccans will usually safeguard a spell by including the phrase “with harm to none” (or something similar) before closing it out. This signals to the Universe (and reminds the Witch!) that only benign or beneficial effects are being sought through the magic. Although there are certainly naturally-talented Witches within the Wiccan world, everyone wishing to be successful at magic needs to practice, be patient, and be willing to learn from trial and error. If you’re just starting out, keep in mind that it’s not uncommon to see little or no results after the first few attempts at spellwork. It’s also important to read as much as you can about magic for beginners, and work on your own tendency toward skepticism and resistance—as this is always at the root of the problem! If you want to learn more about the basics of magic, check out Lisa's articles on Candle, Crystal, and Herbal magic.